Social Network is more complex than a spider web but fundamentally they are kind of same, with spider webbing a medium to entrap the flies. 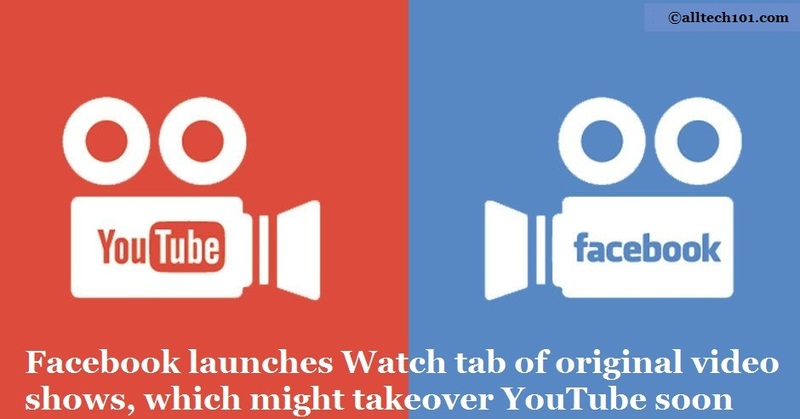 Facebook, a social networking site of colossal proportions is all set to lure more users with its exclusive new feature WATCH. Watch is a video service which allows the content creators to have 55% of its advertising share which is humongous by any standard. It directly puts Facebook in an open war zone with other video services like YouTube and Vimeo. Facebook started off as a silly college site to check out pictures of college students is now a billion dollar industry and its strategies its moves in a way that it remains on the top of charts. Facebook is initially paying content creators for shows to drive interest and the figures can go as up as US$10,000-$35,000 for shorter form shows and up to US$250,000 for longer form scripted shows. The testing for this feature began earlier this month, and as per the feature, it allows users to discover TV shows based on their friend’s suggestions and the feature also allows its users to have conversations with other people watching the show during an episode. The watch will include content from Buzzfeed, Vox, A&E Networks, and Walt Disney’s ABC, etc. The funny thing with trends is that they change. It’s pretty obvious that why advertisers are shifting from television to online platforms because, in the past few years, content consumption has been moved to Smartphones and tablets. TV is slowly disappearing and facing a constant fall in its viewership. According to Facebook, Watch is more of a personal and community-oriented platform as compared to other video services. Some of the shows that Watch is going to feature are Tastemade’s Kitchen Little, Major League Baseball, Nas Daily, Gabby Bernstein and many more.